Description: The P210 Target takes the precision of its 1947 Swiss predecessor and greets it with new sleek, custom walnut target grips, a precision-machined stainless steel slide and frame, and a lightweight target trigger. These updated features pay homage to the original craftsmanship and bring it to a more competitive target shooting level. Meant to balance well in one hand or two, this P210 Target is chambered in 9mm and comes with an adjustable rear sight and fiber optic front sight. Also included are two 8 round, single stack, steel magazines. 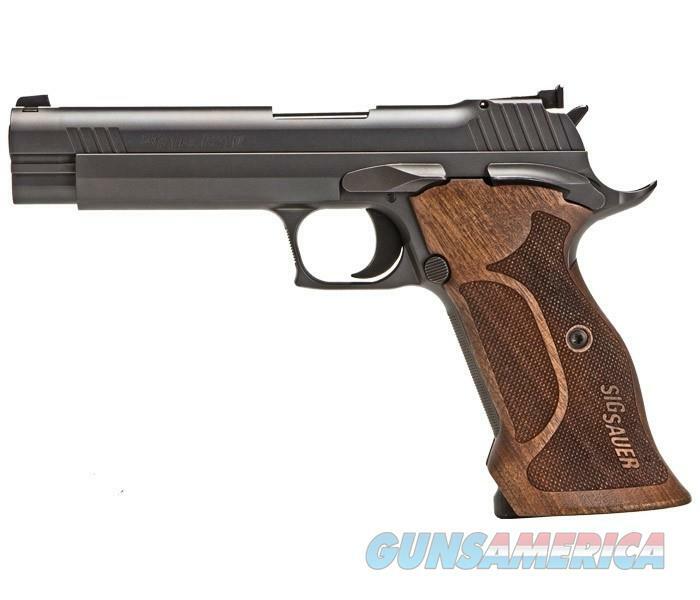 Whether you are looking for a pistol for target shooting or competition this is a great choice!